When you need toner for HP Color LaserJet 4500 printers, you need a product you can depend on – a cartridge that can keep up with your demands and with the print speed of this trustworthy workgroup printer. It may lack the bells and whistles of some more recent printer models, but with a 16 ppm print output and optional duplex printing capabilities, this sturdy laser device will produce the work you need for any project. 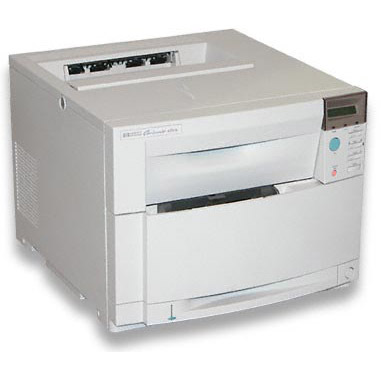 It uses HP 640A toner cartridges that have a 9,000 page yield for black print work and a print yield of 6,000 pages in color, making this printer ideal for any midsize office. No matter what your budget might be, your business thrives on cost-efficient spending. 1ink.com’s remanufactured HP cartridges offer an easy way to cut back on costs without losing quality. Our remanufactured toner gives you the same page yield and monochrome/color photo quality as original equipment manufacturer (OEM) cartridges with savings of over 70% off the OEM price! Browse 1ink.com’s selection of remanufactured HP Color LaserJet 4500 toner below and try risk-free toner that will help you save big!